Clarksville, TN – Following the flurry of out-of-town guests and turkey dinners, unwind at the Roxy Regional Theatre with a rollicking musical favorite sure to put you in the holiday spirit. 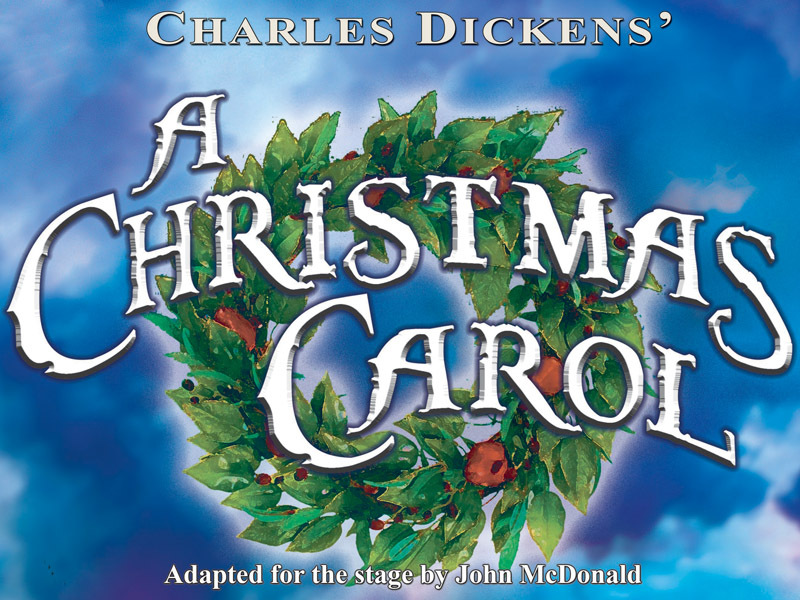 In keeping with tradition and in celebration of Charles Dickens’ 200th birthday, John McDonald will once again don his top hat as Ebenezer Scrooge in “A Christmas Carol”, running through December 22nd. 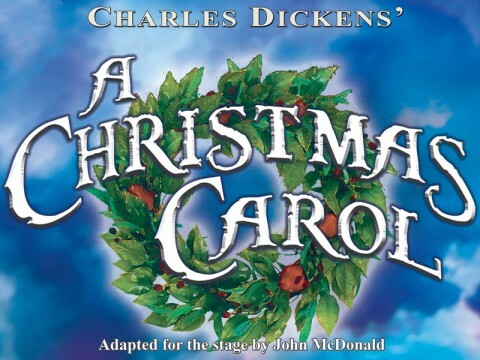 Under the direction of Tom Thayer, Dickens’ classic tale of Christmases Past, Present and Future meets such holiday standards as “A-Caroling We Go,” “Silent Night,” “Christmas Is Here,” “Do You Know How Christmas Trees Are Grown” and more. 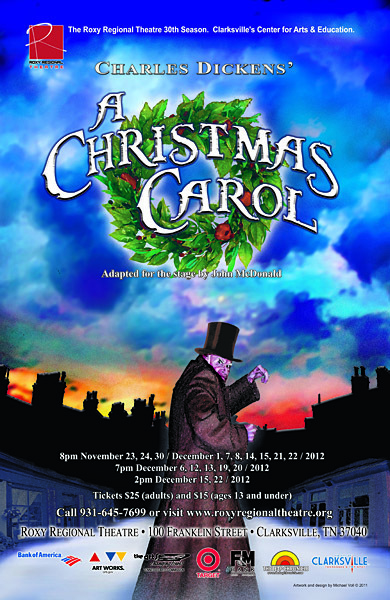 “A Christmas Carol” features the talents of Ryan Bowie, Kaitlin Doughty, Humberto Figueroa, Michelle Foletta, Leslie Greene, Rob Rodems and Colin Ryan, along with a rotating cast of twenty-five local youth portraying the Cratchit children: Gavin Berlyak, Lauren Mund, Ashley Knowles, Sydney Barksdale and Jesse Boyle as Martha; Truman Jepson, Scott Hall, Samuel Beals, Mitchell Wolfe and Christian Rieke as Peter; Cheyenne Deibert, Summer Aoki, Kourtni Cottrell, Whitney Flickinger and Madeline O’Connor as Belinda; Kaevon Burney, Ali Arnold, Emma Justice, Georgia Smith and Addisyn Bryant as the Urchin; and Roseanna Vaughn, Bella Rose Cargill, Nathanael Dorminey, Connor Harty and Dallas Harty as Tiny Tim. 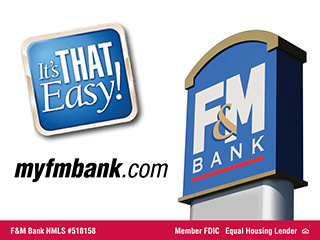 The performances on Wednesday and Thursday, December 12th and 13th, are part of “Christmas Over The Cumberland,” during which patrons will enjoy a holiday dinner with Santa at F&M Bank’s Franklin Room at 5:00pm, followed by “A Christmas Carol” at the Roxy at 7:00pm. Catered by The Bound’ry, the evening’s menu features cajun-spiced turkey, pear and walnut salad, garlic whipped potatoes, seasonal vegetables, fresh-baked bread and chef’s choice dessert. (The children’s menu includes chicken tenders and mac & cheese.) Tickets are $50.00 (adults) and $30.00 (ages 13 and under). 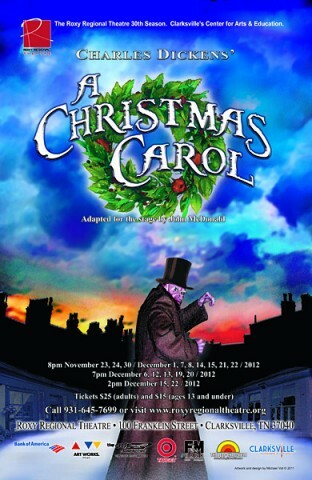 “A Christmas Carol” runs through December 22nd, playing Wednesdays and Thursdays at 7:00pm and Fridays and Saturdays at 8:00pm, with 2:00pm matinees on Saturday, December 15th and 22nd. There will be no performances on November 28th, 29th and December 5th.